Should You Consider Alternatives to Dropbox? Dropbox was initially released in September 2008 as an online file sharing system. As of November 2013, Dropbox had reached the 200 million user mark. Dropbox currently integrates with various mobile operating systems and Web-based apps, making it possible for your files to be just a tap away no matter where you are or what device you may be using. No doubt, Dropbox is a popular service and does what it was designed to do well. Accessing files from multiple devices and allowing multiple viewers to see documents quickly has never been easier. 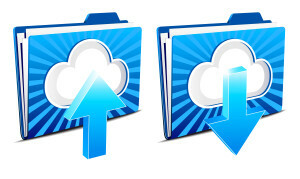 So, why would you want to consider alternatives to Dropbox for file sharing? Dropbox is great for syncing your files across devices, automatically uploading your camera roll, and bypassing Internet service providers' file size limits for email. If you want to share large documents with many people, access the ad you were just working on from your phone for brainstorming, or send your graphic designer new videos for your website, Dropbox is perfect. Dropbox is also a convenient way to index everyday work documents that aren't of a critical nature that need to be accessed by several people. Dropbox for teams makes team collaboration easy. The list goes on and on. No doubt, Dropbox is a great service. However, Dropbox is not so great when it comes to securely sharing your company's most confidential data. Dropbox has struggled to overcome concerns about security and privacy. For example, Edward Snowden, the former NSA contractor and security whistleblower, has said that Dropbox is "hostile to privacy" due to policies and methods that allow user data to be surrendered to government agencies. Dropbox has also been hacked on several occasions and has had its fair share of public criticism and privacy and security complaints. While this may not be of immediate concern to you, how your documents are accessed in the system probably is. Keep in mind Dropbox's original purpose: it was designed for stashing your personal files in the cloud so that you could retrieve them from a different computer or device. Though it's evolved over time, Dropbox isn't designed for more complex file sharing arrangement such as requiring signed non-disclosure agreements before allowing a user to access a shared link. If your information requires an NDA, it probably shouldn't be in Dropbox. When evaluating any type of software, the primary question you must answer is what do you need the software to do? Do you need collaboration? Or, on the opposite end of the spectrum, would you prefer to restrict access so that a user can only view a document, in-browser, no download? Do you want your document watermarked or is that an unnecessary precaution? Again, how sensitive is your information? If you are going through due diligence and sharing all of your company's intellectual property, security is probably a concern. If you're collaborating on a white paper, it probably isn't. Here at SecureDocs, we love Dropbox, and use it for certain things. But all of our critical company documentation lives in a dedicated data room.